On your MasteryConnect homepage, click on the Upgrade Now button. 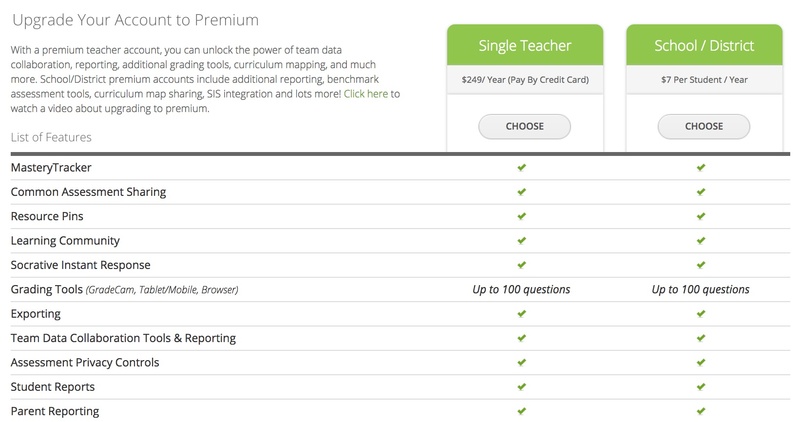 Click on Choose to upgrade to a single teacher premium account. Enter your payment information to activate your premium account. Payment is processed securely through PayPal. Your account will be automatically renewed annually using the payment method you used initially to activate your account. Log in to your PayPal account to remove the payment information or stop the renewal payment. Contact support at support@masteryconnect.com to cancel your credit/debit card renewal.